All horses are kept in outdoor pens, unless a box stall is absolutely required. We feel we deal with less soundness and mental issues by allowing horses to have room to move around and "be horses". At Justabouta Ranch we firmly believe in starting all show prospects as long yearlings or early two year olds. This way we can spend shorter, more consistent training periods on them rather than having to camp on them to catch up, thus putting more pressure on them mentally and physically. With all our horses we believe consistency is key. Dale Clearwater grew up near Nipawin, Sask. He began working for the provincial pasture system at age 16. During his eight years on the pasture Dale refined his skills by attending as many clinics as he could and watching videos. Pasture work also taught Dale the art of working and handling cattle. After some early success in ranch horse competitions, Dale wanted to try competing at a higher level and decided to try the cowhorse arena. In preparation he spent winters working for reining horse and cutting horse trainers. Dale has taken pieces of programs from his mentors and combined them into a program he feels works well. But for those who know him, he says that he never stops learning and is always looking for ways to improve! Dale has been successful in the cutting pen (LTE $55,000+) and has dabbled in the Reining pen (LTE $3000.00+), but is more known for his success in the Reined Cowhorse Arena with LTE of over $400,000. At Justabouta Ranch we believe that in order to achieve any success in the show pen, you have to have a great team behind you. We are so blessed to be able to work with some of the best professionals in their field. Our program consists of a regular worming and vaccination schedule. We also closely monitor our horses condition and soundness. All this is done under the guidance of Dr Julie DeMossiac, DVM of Bratton Road Veterinary Services in Outlook, Sask., and Dr Conrad Wilgenbusch, DVM and Equine Surgeon of Momentum Equine. A good farrier is also essential to keeping our horses sound and show ready. We are so blessed to have Ross Smith as part of our team. Ross has been a farrier for a number of years and has been Justabouta Ranch's main farrier for over 10 years. We also believe that proper equine dental care is of utmost importance, and all our horses are in a routine dental program. For all our equine dental needs we have Glen Hamilton on team. 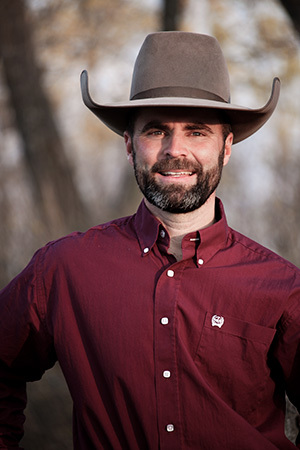 Glen is a graduate of the Acadamy of Equine Dentistry in GlennsFerry Idaho. To keep our horses in the best condition we also closely monitor our feeding program. We have pens with self feed grass/alfalfa bales, and for those easy keepers we have smaller pens where hay is fed at chore time morning and night. In addition we feed a grain ration that has been custom blended to meet all our nutritional needs. Teri spent time working with a nutritionist to develop a feed that we feel gives our horses the energy needed to perform and well as all they need to keep them looking in tip top shape. 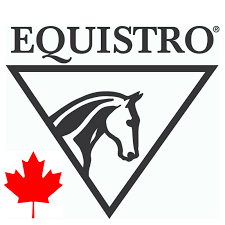 2019 marks new partnership with Equistro Canada. We are proud to use Equistro products throughout the ranch, from broodmares and babies to working stallions and show horses and everything in between. Check out their website at www.equistro.com. Canpressco is Camelina Oil supplement for horses. 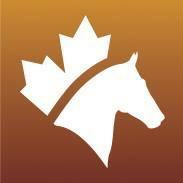 This oil provides our horses with a balance of Omega 3,6,9 fatty acids and Vitamin E. We would love to share more with you about this awesome product, and you can always check out their website at www.canpressco.com. Hansbo Sport: Swedish innovation for the wellbeing of your horse, using theraputic infused ceramic and infused magnetic materials. Check out their website for all the info and see what products are available! 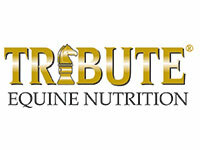 Justabouta Ranch is proud to announce Tribute Feeds (c/o Wide Awake Feeds) as our new sponsor! Check out their website for information on the comprehensive range of feed for all types of horses at various life stages they have to offer! For more information on our program, please feel free to contact us. We would love to talk to you and answer any questions.